As cloud technology becomes cheaper, more and more businesses are migrating to the cloud. Cloud hosting providers offer a variety of cloud server configurations and features to cater to the varying needs of consumers. The most popular cloud hosting providers now are Amazon, Microsoft, and Google. In this article, we will be comparing those three “cloud monsters” and two smaller players of cloud-based solutions market, such as Kamatera and Vultr, so you can identify the best one to suit your needs. Firstly, we will look at Performance Index of those five providers for Linux operating system cloud hosting, then compare Performance Index of Windows Server, then take a look at their SSD offers and finally compare their Data Transfer rates. 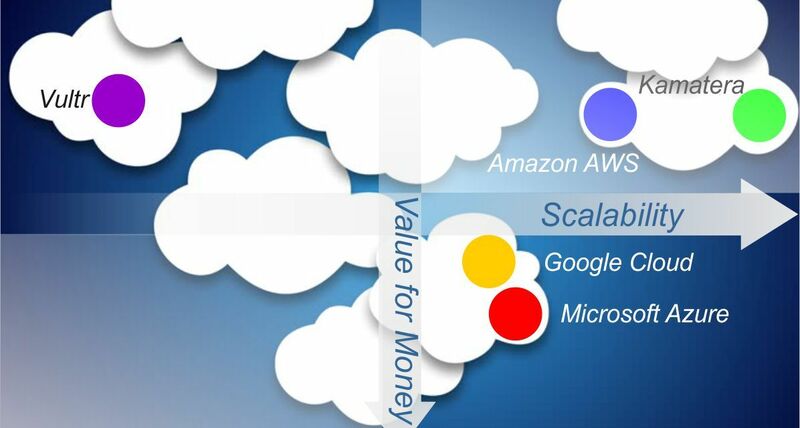 In result, we will compare Value for Money and Scalability of Amazon AWS, Microsoft Azure, Google Cloud, Kamatera and Vultr in our Cloud Quadrant. Particularly, you can use our Cloud Quadrant and comparison charts to determine what cloud hosting provider suits cater yours needs best for less sum of money. Obviously, cloud server pricing fluctuates over time, especially with new market software. Therefore, we will be updating the prices mentioned in the comparison charts monthly. The first and foremost concept we use for measuring cloud hosting value for money is Performance Index. The concept is simple: we take vCPU and multiply them on RAM. Although such approach misses lots of other parameters, it’s still a great tool to compare the offers in general. Again, there are lots of Amazon EC2 Alternatives to consider besides Google Cloud, Microsoft Azure, Kamatera, and Vultr. It also worth to mention that we compare offers for US East zone. Why? Because of two simple facts. In the first place, all the compared cloud hosting providers have offers for that zone and we need one zone to compare. Second, USA East is in the intersection most of Internet Tier 1 routes, so hosting on that zone is preferable in the meaning of connection speed and reducing response times. Additionally, it worth to clarify that there are some differences on how Amazon AWS, Azure, and Google Cloud calculate their prices for different types of usage of cloud instances. In order to compare equal offers, we take Amazon AWS Reserved Instances, Regular Tier for Google Cloud and Standart Pricing Tier for Microsoft Azure. For rest of the cloud providers (Kamatera and Vultr) we will go with their regular prices. Often enough, licensing costs for Windows creates an impact on the pricing of their systems. In order to keep these comparisons fair, we will compare both Windows Server and Linux cloud hosting separately. Value for money is an important parameter for comparing cloud hosting, as there is a recurring cost associated with keeping these systems up and running in the cloud. Furthermore, scalability is another incredibly important factor businesses look for in cloud hosting, this is the ability to adjust to demand in a flexible manner, which is essential when making sure you’re paying for only what you need. That’s why you may want to migrate to the cloud. Isn’t it? Depending on your requirements you need to sustain your cloud server, you may not necessarily need all the features some providers offer. The ideal system to suit you mainly depends on your workload. So, we will be considering the major three categories of systems based on their Performance Index (PI): those having a PI of less than 16 (light workload), those between 16-1040 (medium to heavy workload), and those who have a PI of greater than 1050 (extra heavy workload). Again, such the division ensures that all the carts remain readable at any scale. Ultimately, if you want greater performance, you’ll have to pay more. However, you will be surprised how different prices are for the same cloud servers. In the chart below, we are comparing the monthly price in USD against cloud servers PI. This chart may help you determine the right provider according to your budget. Upon studying the chart, you can see that Microsoft Azure is much expensive than the other cloud hosting providers. One reason behind this jump in price is that they provide mandatory SSD (solid state drive) disk, which costs up to 25% of monthly fees additionally. The minimum volume of SSD is fixed for every configuration, so you can add some more only. However, you may not need such SSD volume, or you may prefer HDD, which is cheaper. So, such the approach cannot be considered as quite flexible. Next is Kamatera, which offers plenty of flexibility in terms of selecting the number of virtual CPUs and RAM that you need. However, it still comes at a high cost. Google Cloud is slightly cheaper than Microsoft Azure and Vultr, but Amazon AWS takes the cake by being the cheapest of the lot. The Nano and micro instances of AWS are the cheapest, providing an exceptional scalability for low workload systems. If you are on a tight budget, Vultr can be a good option for you, as it’s cheaper than AWS. However, their offers are restricted to four cloud server configurations only. So, it worth to keep in mind that if you need a cloud server that has 2 virtual CPU and 8GB of RAM, you won’t be able to get such a configuration for Vultr. This lack of variety imposes great restrictions on the scalability of the service. 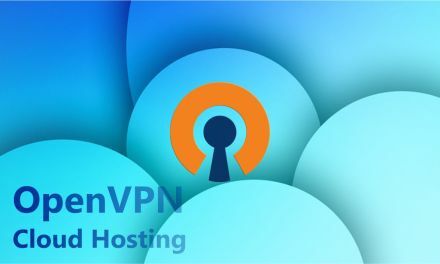 If these are your first steps to cloud-based web server hosting, you may find useful this article on how to build your own cPanel/WHM cloud server with Amazon AWS. Also, you can learn how to build your own extremely cheap cloud storage using Amazon AWS S3. In this chart, we compare offers with PI from 16 to 1040. In other words, we start from 2vCPU and 8 GB RAM configuration, finishing with much more powerfull cloud servers with up to 16vCPU and 65 GB RAM. Once again, Microsoft Azure comes out the most expensive of compared to the other cloud hosting providers. Upon studying the chart, there is a noticeably large gap in the price of Microsoft Azure compared to the other systems. Kamatara continues to be the cheapest option, it’s strength relies on the fact that you are able to mix and match different combinations of virtual CPUs and RAM – allowing a huge variety of configurations. Google Cloud and Amazon AWS have comparable pricing for medium workloads, however, as you increase the systems that have a higher PI, Google Cloud comes out as the cheaper of the two. Amazon AWS lacks behind when it comes to effectiveness for systems with a heavy workload. Vultr is without a doubt the cheapest of all here, but in this PI range, it only has four possible configurations, reducing the scalability of the service. In this range, we will be dealing with very high workloads. As you can see in the chart, the PI of systems is extremely high. Accordingly, the cost required goes up by 4 digits, there is NO overlap in the terms of comparable pricing between providers. Microsoft Azure is the costlier option, just as it were with light and medium workloads. Azure has no solutions whatsoever for if a Performance Index is higher than 24 vCPU and 224 GB RAM. So, Azure isn’t the most logical choice for heavy workloads. Bring your attention to Google Cloud on the graph, you will see that it’s very gently sloped compared to the rather steep slope of the other cloud hosting providers. Proving that Google Cloud is ideal for those who have relatively high Performance Index requirements. It can, in fact, handle some extreme workloads. Amazon AWS also has systems capable of a very high performance index, yet is still costly compared to Google Cloud. There’s nothing we can take from Vultr when it comes to heavy workloads, therefore it’s not in the graph. Kamatera becomes more expensive option than Amazon AWS for such workloads. In addition, they do not offer cloud servers with more than 20vCPU and 262 GB of RAM. When it comes to Linux cloud hosting, Amazon AWS and Google Cloud come out on top, as they provide a balance of value for money and scalability. For higher performance index requirements, Google Cloud is the most cost-effective. Furthermore, Kamatera is a prime provider for those who require plenty of flexibility. Those who don’t mind spending large sums on SSDs for light workloads can consider Microsoft Azure as a viable option. The opposite goes for Vultr, as this suits those who don’t have heavy requirements yet still want something cheap. As it is the case with Linux hosting, in Windows Server hosting too, you don’t need to pay for powerful cloud if your requirements are not huge. On the other hand, if you need a server that can handle an extreme workload, then you’ll need a lot of RAM and virtual CPUs at your disposal. It goes without saying that an entry-level configuration will not be suitable for your needs in that case. This is why we have separated the results of our comparison across three major categories as discussed earlier, light workloads with a PI of less than 16, medium-heavy workloads with a PI between 16-1040, and an extra heavy workload with a PI of greater than 1040. We will compare the price that we have to pay per month (in USD) against the Performance Index of the cloud server that we get at that price. This will allow us to get a better idea of finding the right cloud hosting provider for Windows Server that meets both our requirements as well as budget. The high cost of Microsoft Azure in this graph is due to the mandatory SSDs of their cloud servers. These added components offer exceptionally high read/write speeds, yet their necessity is questionable when it comes to someone needing a system for light workloads. 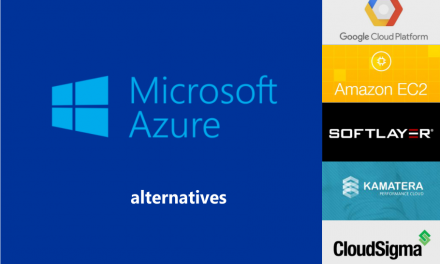 Here you can learn more about Microsoft Azure Alternatives for Windows Server cloud hosting. Amazon AWS offers extremely good value for money compared to Windows cloud hosting, as it has cheap Nano and Micro instances which are absolutely ideal for light workload cloud servers. Surprisingly, however, Google Cloud is the most expensive compared to Amazon AWS. Further to this, Vultr is another cheap solution, where their pricing doesn’t increase greatly as you raise the PI requirements. For those who want scalability, Kamatera is an excellent choice, it allows you to choose from a wide variety of virtual CPU and RAM combinations. However, compared to AWS and Vultr, it is on the expensive side. These systems can handle moderate to heavy workloads, so in the graph below we will be comparing Windows Servers available through different cloud hosting providers. Keep in mind these servers will have a performance index of 16 – 1040. Notice that all the providers have a three-digit monthly price. Once again, Microsoft Azure is a very expensive option, and not suitable for those with a limited budget. Surprisingly, even Amazon AWS becomes rather expensive as you move across systems having a higher Performance Index. Pricing increases dramatically after the PI reaches 200 and over, and for lower systems, it becomes much cheaper. Google Cloud is in the middle – being slightly expensive, with still having a vast variety of systems available. Kamatera offers an even bigger selection of virtual CPU and RAM combinations while still maintaining a cheaper price compared to Microsoft Azure and Google Cloud. If you’re looking at higher workloads, notice that it’s cheaper than Amazon AWS. Vultr is the cheapest of all Windows Server cloud hosting providers, it offers four possible configurations of systems, and there isn’t a very big difference in the pricing of these systems as you move towards higher workloads. Amazon AWS, however, prices their systems differently, where top end systems can end up being twice or three times that of a lower end system. These Windows cloud servers are built for extremely demanding workloads. Their monthly price in USD, as well as their performance index, are all in 4 digits. Microsoft Azure continues its run of most expensive cloud hosting provider, as its pricing peaks as you move towards higher PI systems. In fact, there are no systems that have a greater PI than 5376. The N-series servers, for example, have 24 virtual CPUs and 224GB of RAM at maximum. Amazon AWS and Google Cloud both offer plenty of viable options in this PI range, however, in terms of pricing, Google Cloud is a lot cheaper than Amazon AWS, especially as you move higher. Kamatera is cheaper than all three providers mentioned above, Although, much like Microsoft Azure, it doesn’t offer anything for systems needing to handle big workloads. The upper limit here is 20 virtual CPU and 262GB of RAM. Vultr doesn’t have any system in this section, as well as Linux cloud hosting, this makes Kamatera the cheapest Windows Server cloud hosting provider for this section. Whether or not you choose to go for particular Windows Server cloud hosting provider depends on your workload. If you need to host Windows Server in the cloud for a light workload tasks, then Amazon AWS and Vultr are the best options for you. If your workload ranges from medium to heavy and you are looking at a long-term solution, then Vultr would be a viable option because of lack of scalability. You won’t be able to host high workload cloud server with them. You may have to pay more and stick with Google Cloud or Amazon AWS. Kamatera offers extremely good value for money, especially when handling heavy workloads. In these terms, Microsoft Azure is in the same boat as Kamatera. SSD cloud storage is the amount of data that you get to store in a persistent manner for your cloud machine. This includes databases, and other files relating to your application(s). SSD storages are gradually coming down at price, and their capacities are improving. So, it makes sense that we’re comparing SSD’s rather than HDD’s or other types of storage. Specific SDDs from each provider have been selected to produce a fair comparison. For Amazon AWS, we will be comparing EBS General Purpose SSD (gp2) volumes. For Azure, Standard Management disk instances, and for Google Cloud & Kamatera, we will go for the local SSD option. Finally, for Vultr we will select SSD Block Storage. Data transfer represents the amount of data (including downloads/uploads) that you are able to send and receive using the servers’ network connection. It is crucial that the amount of data transfer you opt for is sufficient for your monthly traffic estimates. In the chart below, we are comparing the size of the storage that you are provided (GB) with from different cloud hosting providers, with the monthly price that you have to pay (USD) per 1GB of storage. Therefore, offering an insight to which cloud hosting provider offers the best storage for your budget. Upon examining the chart, we can see that Microsoft Azure has a slightly lower cost per GB as we move towards a larger disk size. This is the only cloud hosting provider out of all five to offer this variation (where the more you buy, the less you end up paying per GB). However, be warned, there is also an additional cost of $0.0036 per 100,000 SSD transactions. Depending on how much disc transaction your cloud server consumes, you may end up with higher costs per GB than other providers charge. Amazon AWS and Vultr have almost identical pricing, they both offer a flat rate of about $0.1 per GB. Google Cloud’s SSD storage is expensive as well as slightly inflexible. Not only is the cost per GB more than double what you pay compared to Amazon AWS & Vultr, and disks are only available in multiples of 375GB. Kamatera is the second cheapest cloud hosting provider in terms of SSD storage, with a flat rate of $0.05 per GB – almost half of what you pay for Amazon AWS or Vultr. Each month, your cloud hosting provider charges you for data transfer your cloud server consumes. The rates are very different. We will be comparing this amount of data (per GB) with the effective monthly price (USD) for 1GB of transfer. This will help understand which cloud hosting provider offers the cheapest bandwidth as per our needs/requirements. 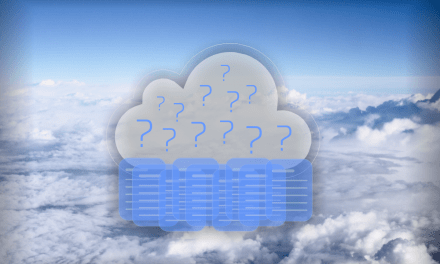 Some cloud hosting providers have different pricings depending on what region you are located in, so we must understand which data transfer zones are used in the comparisons. While the factor of outbound traffic to Amazon AWS and Kamatera has been considered, the same is not true for the other cloud hosting providers. For Microsoft Azure, we will be using outbound traffic in Zone 1 (Europe and N.America), for Google Cloud, we will be using the Americas and EMEA regions, and for Vultr, we are taking into account Americas, EMEA and Australia. On studying the chart, Kamatera and Vultr have a flat cost per GB of data transfer, irrespective of the total amount of data transfer that is allocated each month. However, the same cannot be said for the remaining three providers, as their pricing is not flat. As the data transfer limits increase, the effective cost that you pay per GB drops dramatically. These three are still expensive compared to Kamatera and Vultr, and Google Cloud tops the charts in cost in terms of data transfer. We are going to compare the different cloud hosting providers using the value for money and scalability parameters. Using the ratings given above, we will determine the provider’s position on this quadrant in terms of how effective it is to the needs of consumers. This quadrant will make it easier to decide which cloud hosing provider best suits your needs. In one graph, you will be able to determine what cloud hosting provider satisfies your needs based on the most statistically import parameters. We see in this graph that Vultr is the prime choice for those who are extremely budget-conscious and don’t mind sacrificing the factor of scalability. The provider offers good value for money, yet has limitations with its range of ready-available systems. At the other end of the scale we have Microsoft Azure, which as we have found out can be relatively costly for many consumers, while still maintaining above-average scalability. Keeping in mind that all of Microsoft Azure’s servers that we have used in these charts come with SSD storage included. Google Cloud can be costly, yet it out does itself in the scalability factor, it’s particularly well suited for Linux cloud hosting instead of Windows. However, for those who wish for a good balance between value for money and scalability, Amazon AWS and Kamatera are excellent options. If you don’t need to handle big workloads, Kamatera will be the most beneficial choice. Otherwise, Amazon AWS has the power to take control of your heavy workload. In this article, we have compared cloud hosting providers in terms of their Linux and Windows cloud-based server offers. Overall, we can see that Google Cloud is the best choice for Linux cloud hosting, but when running Windows, you will need to research your workload requirements. We also looked at the value for money aspect and came to the conclusion that Vultr is the best when it comes down to just the factor of cost. It may however not be practically suitable in some cases, as there are little to no systems having a very high Performance Index, as well as offering a lower number of configurations. Furthermore, we talked about the storage and data transfer aspects, including the use of SSDs for storage comparisons. We came to the conclusion that most providers offer a flat per-GB rate of storage with the exception of Microsoft Azure. In terms of data transfer, however, Kamatera and Vultr are not only the cheapest but also offer a flat price per GB of data transferred. Thanks for informative charts, guys. I’ve been thinking to compare the pricings on my own. You saved my time!